Marina infrastructures are destined to experience significant transformational changes in the coming years. These changes are driven by the rapid consumer adoption of technology at a personal level, changing environmental conditions due to climate change, increasing environmental pollution due to the use of plastics and waste management practices, and marine industries' continued evolving products and technology innovations. 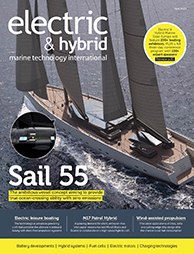 Marina customers are increasingly adopting electric mobility and electric and hybrid marine propulsion for their vessels. This new trend will ultimately increase the amount of electricity marinas will need to provide for their customers, impacting marina electrical operating costs. Due to the scale, diversity and complexity of marine power systems these days, as well as the integration of electrical power segments into ships, we must acknowledge the fact that the issues being raised are complex but common to most shipbuilders and integrators. The introduction of controller hardware-in-the-loop methodology and model-based system engineering processes throughout the ship's V-curve enables a fast transition for the marine and offshore industry and helps address burning issues for all stakeholders active in marine and offshore industries, such as the lack of an experienced workforce, evolving regulations and testing safety-critical software-directed processes. This presentation will introduce the concept of bearing protection against fluting damage due to variable-frequency drive. The consequences are severe with electric motors and equipment attached, including bearing damage and motor failure. The AEGIS Shaft Grounding Ring is the solution to induced shaft voltage.